The Encounter - An Exclusive Prelude to The Man with The Iron Fists. 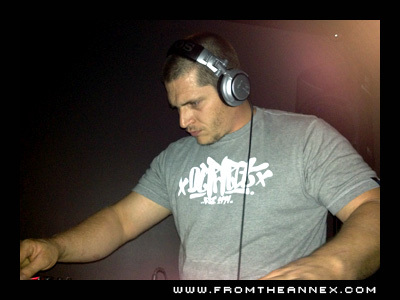 Recorded Live at Transit's Drum & Bass night [10.3.2012]. 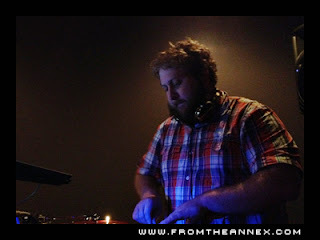 Big ups to Give Productions for having me out and the whole Transit family that came out in support of the sound. Nods to GROM, my boy TRA-35, & JULEZ from SubDistrick. Also big love to Dylan, Mamma, Ramiro, Jacob, James (the Dancer), Jema, Ravi and Rob One. One hero I hope never to meet. Just so he can remain my hero from afar. FTA EVENT: 10.3 ::TRANSIT:: DRUM AND BASS!!!! RSVP is a must to attend go here! TRANSIT: DRUM & BASS Edition! Eight (8) years ago, Give Productions created the idea of a weekly EDM party in the heart of Fairfax that grew beyond expectations. We raged! We partied! We had fun! We also hit a few speed bumps along the way....a couple in fact. Fire, snow, floods, city codes...you name it, forced us to change venues a few times. We dealt with the good, and the bad...yet felt a responsibility to keep things going, no matter the challenge. THANK YOU EVERYONE FOR MAKING THE FIRST TRANSIT BACK A SLAMMING SUCCESS!! NOW ONWARD!!! The first few parties have to be private parties, so if you want to attend.. you MUST RSVP!! WE CAN NOT STRESS HOW IMPORTANT THIS IS!! Come and enjoy lots of plush couches, pool tables, killer food, lots of tvs, and of course a friendly staff! and KILLER SPECIALS!